Indian officials are aghast at the perceived capitulation to pressure from some community groups in Canada, and described the updated version of the “2018 Public Report on the Terrorist Threat to Canada” as a “full retreat” by Ottawa. The updated version was released on Friday, about 24 hours before Prime Minister Justin Trudeau was scheduled to attend a Vasakhi parade, organised in Vancouver by the Khalsa Diwan Society, with national defence minister Harjit Sajjan. The erasure of eight references to Sikh extremism and organisations and six references to Khalistan, the so-called homeland sought by some radical groups, came against the backdrop of reports that pressure groups in the Sikh community had threatened Canada’s ruling Liberal Party with dire consequences in an election year. Officials from both countries familiar with developments acknowledged the new version of the report is the outcome of domestic political compulsions in Canada, especially efforts by political parties to woo the influential Indian and Sikh communities. The officials, who declined to be named as they weren’t authorised to speak to the media, acknowledged counter-terror and security cooperation at the level of officials is robust, but there is a gap as far as the higher level of Canada’s political leadership is concerned. They traced the problem to several Indian-origin ministers in Canada, reports Hindustan Times. “This is why we are seeing this dichotomy, of having cooperation at the level of officials that is not seen at the higher levels,” said an Indian official. Sikh and Khalistani extremism figured in a meeting of the bilateral joint working group on counter-terrorism in Ottawa during March 26-27. A joint statement issued after the meeting said the two sides “discussed the reference for the first time to the threat from Khalistani extremism in Public Safety Canada’s 2018 annual report”. Sikh and Khalistani extremism had figured for the first time in the report issued by Public Safety Canada in December 2018. The original report said Canada continues to face threats from “individuals inspired to commit violence based on other forms of extremism, including from...Sikh (Khalistani) extremists”. It added attacks by Khalistanis in Canada were extremely limited, but “some Canadians continue to support these extremist groups, including through financing”. However, references to other religious groups remain in the amended report, including to Sunni and Shia extremism. The changes are restricted to the section originally titled Sikh/Khalistani extremism, now called “Extremists who Support Violent Means to Establish an Independent State Within India”. Sukhminder Singh Hansra, who is openly pro-Khalistan and heads a chapter of Shiromani Akali Dal (Amritsar), said he thanked the Canadian Sikh community for raising its “collective voice against the derogatory words” in the report. “As a result, the government of Canada realised their mistake and eliminated the words ‘Sikh (Khalistani)’. 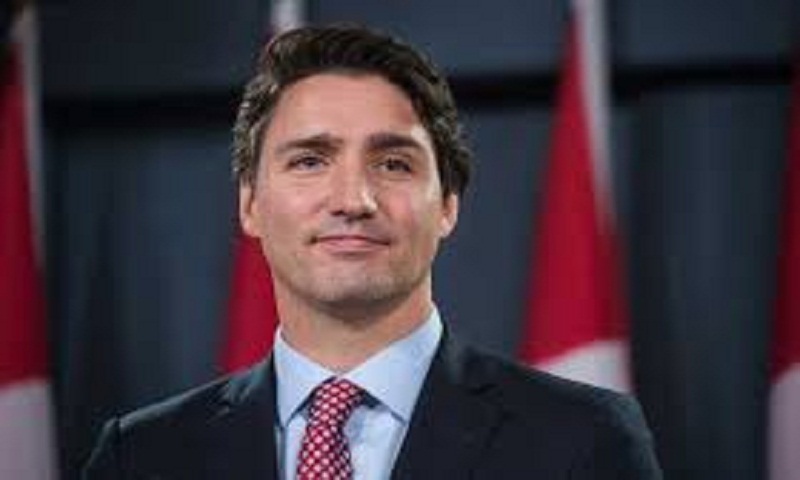 Though I express satisfaction over the change, concern remains under what circumstances did the Trudeau government include these defamatory, derogatory and hurtful words in the report...as they do not reflect Canadian values,” he said. The officials cited above said matters hadn’t been helped by the lack of high-level visits between the two sides, especially after Trudeau’s controversial trip to India in February 2018. Despite the impact of that visit, New Delhi has been determined to push forward the bilateral relationship, Indian officials said.